Junk & rubbish pick-up in Sydney. we recycle so you will Save. we are cheaper than skip bins. Blink and it is gone! Looking for Rubbish Removal in Sydney? Rubbish R Us can help with any junk removal, waste collection, garbage removal and household removal in Sydney. We are professional in providing a reliable Waste Removal, rubbish clearance services. Got Rubbish? Call us now for Junk pick-up services in Sydney. Rubbish R US - SYDNEY, is a specialist rubbish removal & waste collection company handling both small & large-scale rubbish clearance, for the residents and businesses of Sydney. We are entirely dedicated to collecting and responsibly disposing of your rubbish in a professional way and environment friendly manner. We ensure all our customers receive prime waste removal services at affordable prices throughout Sydney. Are you looking to clear your home in time for the holiday season and as a result, there is a great deal of waste that has accrued? And for this, do you need experienced Junk clearance company to take care of the waste collection and waste removal from around the Sydney, NSW area? And who best, but the over 30-year-old company, Rubbish R Us, the rubbish removal services? Yes, as an established rubbish removal company in the Sydney 2000, NSW area, and has been around for more than three decades, we definitely are in the reckoning among the many rubbish removal services in and around the Sydney, NSW areas. We provide any junk removal, waste collection, garbage removal, commercial/residential rubbish clearance service in Sydney. 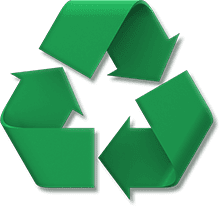 Go green with Rubbish R Us Removal Sydney! When it comes to waste removal and rubbish removal, we cater to both domestic and commercial client's in the SYDNEY, NSW area. Our rubbish removal experts are prepped, trained, and have good know-how and experience when it comes to junk removal and effective waste disposal. Rubbish collection is something that can be a hassle and if not carried out properly. We confirm, our experienced rubbish collection team is Sydney's safest and most reliable way of clearing your unwanted garbage. If you are renovating or moving house, removing your unwanted office's wastes, papers or anything, it is time not to waste time and money hiring a rubbish Skip. "Rubbish R US" is there to do the hard work for you! So Join with us to make our Sydney clean and beautiful. And how equipped is Rubbish R Us for any junk removal and rubbish removal? We have two trucks at our disposal. Efficiency, reliability, quick, and friendly service is essentially the hallmark of our services. We are fully insured and our pricing too is competitive. And the waste removal that we take care of includes household and green waste, and builders waste. And if we can recycle the waste and rubbish we most definitely will do so. With 20 yrs in the waste removal business.